It has just been revealed that This Is Us and Luke Cage star Ron Cephas Jones is in Sony's upcoming Venom movie. Jones' role in the film is currently unknown, and it's not clear when he joined the production. Jones joins Tom Hardy, Michelle Williams, and Riz Ahmed in the anti-hero movie, which hits theaters at the beginning of October. Teases of Hardy's portrayal of Eddie Brock and the symbiote have made Venom one of the most anticipated movies of the year, and we're bound to see more in the coming weeks. Ron C. Jones is a great addition to the cast of Venom. The actor was originally in talks to play The Wizard in Shazam!, but later turned down the role due to scheduling conflicts, which may or may not have had to do with his role in Venom. Jones is probably best known for his Emmy nominated role as Randall's estranged birth father on This is Us, but the actor is also known for roles in Luke Cage, Mr. Robot, and other various theatre roles. Again, it isn't clear who Ron Cephas Jones will be playing in Venom at this time. We have yet to see Jones in any of the promotional material that has been released so far, but that may change real soon. Since we're only learning about Ron Cephas Jones' role in Venom now, it could mean that he has a secret role that Ruben Fleischer is trying to keep under wraps. As to who or what that character is, it's more than likely not going to be a connection to Luke Cage, which many fans have already started to theorize. Venom does not take place within the Marvel Cinematic Universe, so that would make for a weird connection between Eddie Brock and Bobby Fish. In other Venom news, Tom Hardy's Eddie Brock and the symbiote are on the cover of the latest Total Film magazine looking pretty sinister. While comic book fans are unsure as to how much the film will take from the Lethal Protector source material, the new cover image reinforces just how awesome the symbiote looks in the movie. Now that the movie is six weeks away from hitting theaters, we're getting even more pretty epic new looks at the symbiote and what Hardy is bringing to the project. 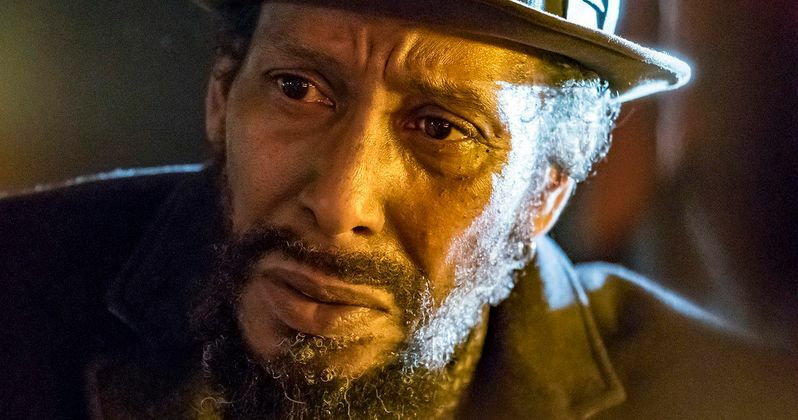 Ron Cephas Jones is playing a mystery role in Venom, which could either be a big surprise, or just a small role. Regardless, we'll find out soon enough when the movie hits theaters on October 5th. While we haven't seen Jones in any of the trailers so far, we might get a tease as the promotional campaign begins to ramp up in the coming weeks. For now, we'll just have to wait and see. Jones' involvement in the project was first announced by The Hollywood Reporter.